Students at Saw Mill Road Elementary School in the North Bellmore School District want all children to have a happy holiday season. The Students Against Destruction Decisions club, under the leadership of social worker Ellen Perrick, organized a toy drive. Toys will be donated to the local John Theissen Children’s Foundation to benefit youngsters who are hospitalized during the holidays. Some items will also be sent to Texas for families who were affected by Hurricane Harvey. Members of SADD made posters that were hung throughout the school to encourage their peers to make a donation. They also made announcements and decorated collection boxes in the lobby. The toy drive runs through Dec. 20 and the students said they hope it is a success so they can bring joy to others. 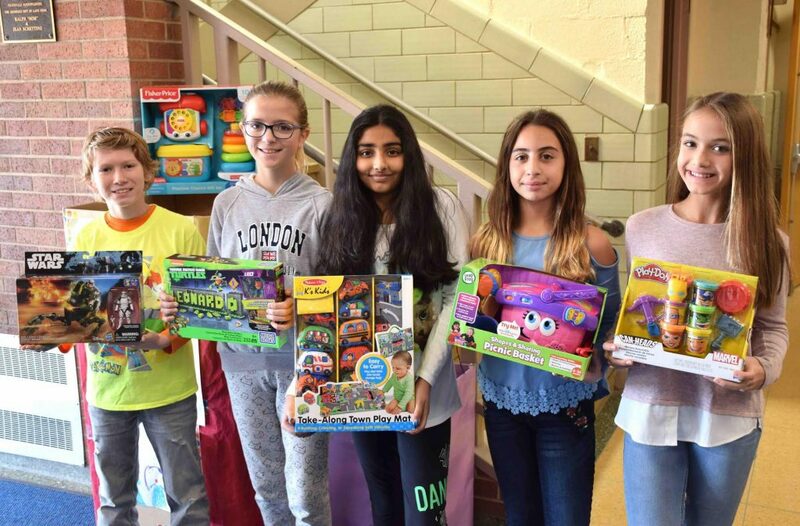 Photo caption: Saw Mill Road Elementary School sixth-graders and SADD Club members, from left, Hunter Mallen, Brandi Licato, Iman Umar, Myrofora Demetriou and Victoria Simal showed some of the items donated in the first days of the toy drive.